Brady: LeBron is a "bum"
The truth about LeBron James is you can either hate him or love him. I happen to fall in the category of the former. For many he is a very polarizing figure, and for me, single handedly pushed me away from being a Lakers fan. For someone to be such an awful team player, yet still attract free agents is absolutely baffling to me. By himself he ruined the Cavs and will do the same for the Lakers. 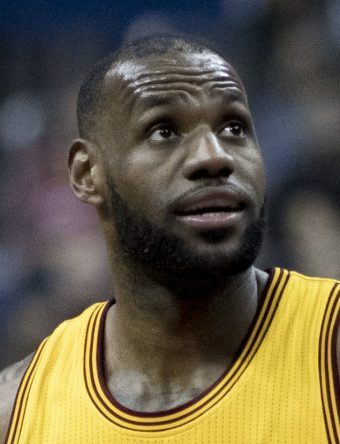 In 2010 LeBron played his last season in Cleveland, recording an impressive record of 61-21 and helping them be the best team in the league. He leaves and the Cavs in 2010-2011 season have a 19-win season and place 29th in the league. 2011-2012 more of the same: 24 wins and 28th in the league. 2012-2013 is a 33 win season and 22nd in the NBA. In those three seasons he was gone, not one playoff appearance was made. LeBron came back and they had a 53 win season and are #7 in the NBA. He then leaves this last year, and they’re back to a 14 win team currently and second to last in the NBA. Some may argue that LeBron is so good that the teams do worse without him, that claim is false. One year after LeBron left the Miami heat they had a 37 win season, didn’t make the playoffs, but the year after that, in the 2015-2016 season, they win 48 games and make the playoffs, without LeBron. He blames problems on coaches and pushes around the front office, as well as destroying team morale with comments against his team. This last month LeBron made a comment on how he questions if basketball is the most important thing in their lives at this point. If I was playing for the Lakers right now, I would want out, including after the free agency stunt he pulled. If you have recently watched LeBron in “Playoff Mode” it is embarrassing. He plays no help defense. Pushes the blame on his teammates as I said earlier. LeBron questioning his team on basketball not being their #1 priority is hypocrisy at its finest. LeBron has his own T.V. show, is in the middle of filming a movie, drinks wine before games, is up at 11:43 before a game against the Warriors making songs with 2Chainz (a game he missed due to “Load Management”). LeBron James this season has made me realize, LeBron is no competitor, LeBron is a bum.